After a lifetime of salesmanship and building successful businesses from the ground up, I have chosen to devote my energies to supporting new enterprise through the Future Business Ideas (FBI) Institute – and to assisting and inspiring young business people through the FBI Young Guns initiative. Mentoring the young is the fuel that drives me, as it has been the empowering passion and vision of preceding generations of entrepreneurs. 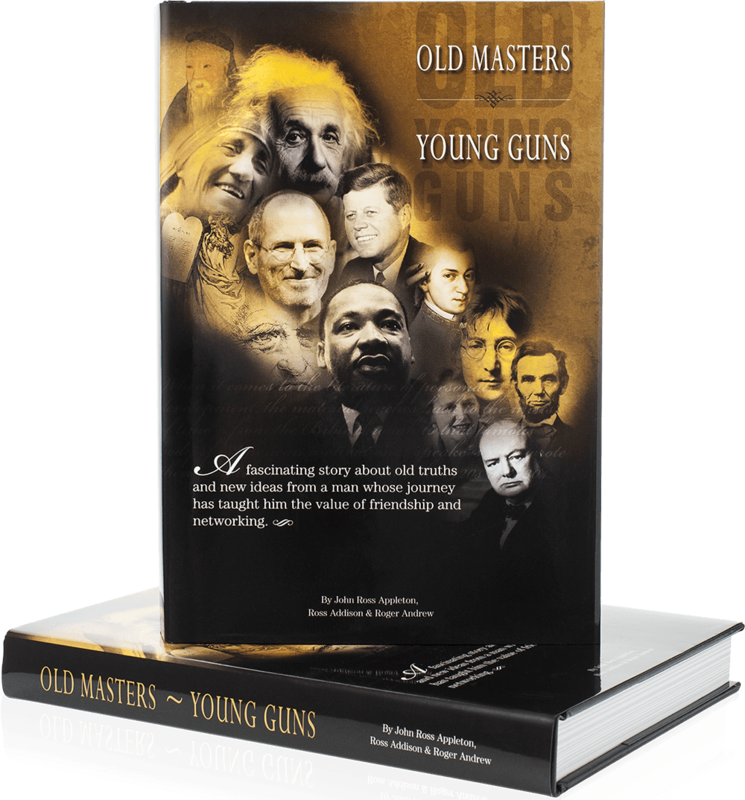 The young are our future – and with entrepreneurial youth in mind, we are about to launch our new book ‘Old Masters, Young Guns‘. This is our way of ‘giving back’; of contributing to the continuing development of free enterprise in Australia and supporting excellence in business practice.